Welcome to Keeping Kids Happy and Healthy! 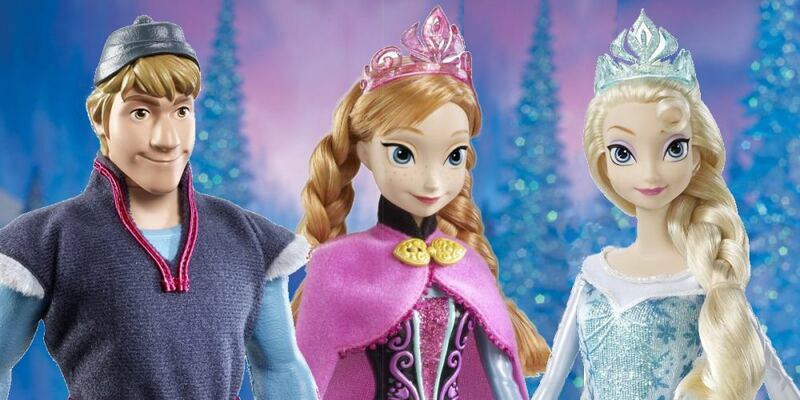 We have done our research and discovered the most popular dolls in this range. Here they are, listed in reverse order by popularity – though it must be said – they are all hugely popular! The one you choose is a matter of personal taste and you might even want to get a set! This at number five sets the scene at an affordable price and is great for girls to share when playing with friends. 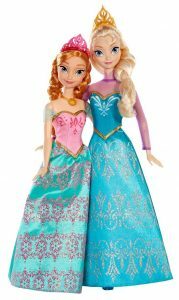 Lots of girls love to play with little figures and this is an attractive set to join the family of toys. Boys like dolls too and and male dolls mean can happily engage in the fantasy adventures feeling represented in the game. This brave and warm-hearted character from the film appeals to many girls who love adventure. 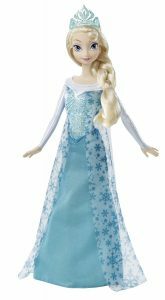 This Elsa Doll tops the list, with her delicate but majestic looks. She wears a beautiful sparkly gown with the scoop neck, pale blue patterned bodice and long elegant skirt that just allows a peak at her translucent blue heels. A sheer white overcoat detailed with snowflake sparkles and her glittery blue tiara atop her long blonde braided her completes the picture. No wonder so many love this elegant character from the Frozen Film. Girls simply love playing with this doll and imagining adventures with her. We have plenty of evidence that the Moms love this doll too! 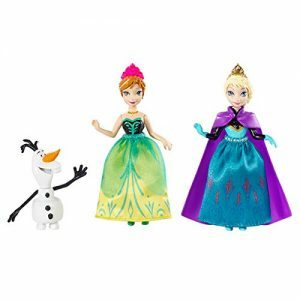 New Dolls from Disney are due to be on sale this Christmas – We wait with bated breath to see how popular they will be!